Bucket Capacity: 14.4 cubic ft. 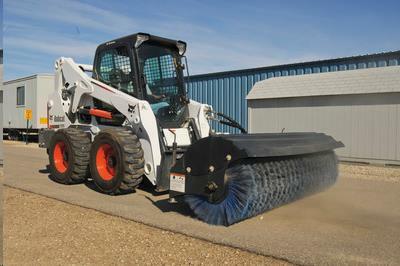 Cutting Edge: 5.8" x 6"
Overall Attachment Width: 78.2 in. Sweep Width (Fully Angled): 63 in. Sweep Width (Straight): 68 in.